Worcestershire sauce is a mysterious yet flavorful brown liquid that is a staple in most American kitchens. It is commonly used to flavor meat, soups, stews, marinades, and even beverages such as bloody marys or micheladas. 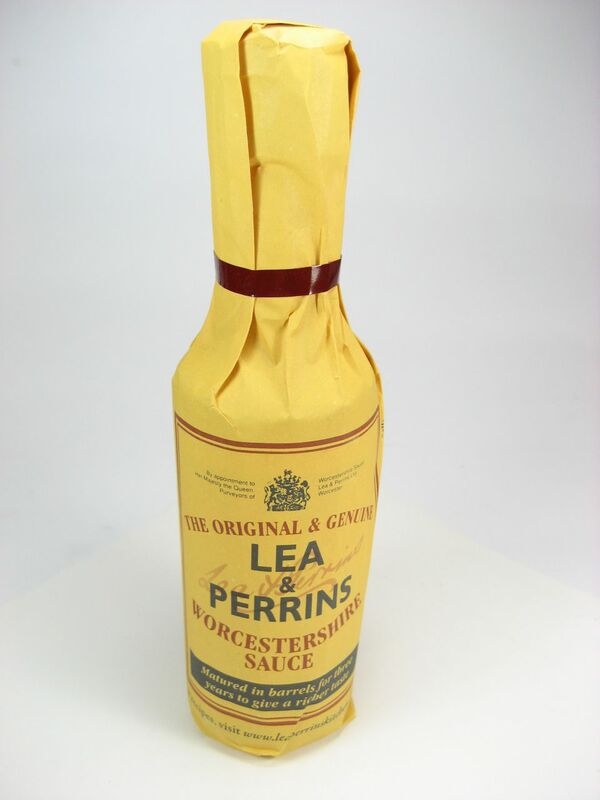 Due to the immense popularity of the original Lea and Perrins Worcestershire sauce, multiple varieties have been developed, each with its own unique ingredients and flavor. Gluten-Free Worcestershire: Lea & Perrins "The Original Worcestershire Sauce" sold in the U.S. is gluten-free as it is made with distilled white vinegar, but in the U.K. it is made with malt vinegar, which contains traces of gluten and may not be safe for consumers with celiac disease. Different brands may use either malt vinegar or distilled white vinegar. A quick check of the label should reveal if your favorite brand is gluten-free. Vegetarian or Vegan Worcestershire Sauce: The original recipe for Worcestershire sauce includes anchovies, which are not included in vegan and most vegetarian diets. With the popularity of animal-free diets, multiple brands have begun to make anchovy-free Worcestershire sauce. These brands usually have "vegan" or "vegetarian" prominently displayed on the label. Low Sodium: Some brands, including Lea & Perrins, now make low sodium versions of the classic sauce to accommodate people who concerned with sodium intake. Worcestershire sauce as we know it today was developed by two chemists, John Lea and William Perrins, in Worcester England. While trying to develop a vinegar based seasoning sauce Lea and Perrins abandoned their first batch, which they deemed unsuccessful, and stored it in their basement. Some time later, they discovered the bottles, tasted the sauce again, and found that through fermentation the flavor had developed into a deliciously complex savory sauce. The popularity of this fermented sauce quickly spread and by 1837 the sauce was fully commercialized. Today the Lea & Perrins brand of Worcestershire sauce is sold in over 75 countries worldwide and several manufacturers have produced their own version of the savory sauce. The U.K. version uses malt vinegar and has one third as much sugar and salt. Worcestershire sauce tastes tangy, savory, sweet, and salty. The balance of those flavors makes it an excellent condiment. It is especially valued for adding the umami (savory) flavor, which comes from the anchovies. The spices included can vary by brand. Even within the same brand, as in Lea & Perrins, the U.S. version is saltier and sweeter than the U.K. version labeled as the same sauce. You will find Worcestershire sauce included in a wide variety of recipes for everything from vegetables to meat dishes, sauces to soups. Home cooks can make their own Worcestershire sauce, having control over the ingredients and avoiding additives that may be found in commercial products. These sauces would have a shorter shelf life in the refrigerator, or they can be canned. You will need only a saucepan to simmer the ingredients, which include olive oil, sweet onions, tamarind paste, garlic, ginger, jalapeños, anchovies, tomato paste, cloves, black pepper, dark corn syrup, molasses, white vinegar, dark beer, orange juice, water, lemon, and lime. Saute onion in olive oil until it is soft. Add the tamarind paste, garlic, ginger, and jalapeños and cook for five minutes over medium-low heat. Add the rest of the ingredients, bring to a boil, then reduce the heat and simmer for about five hours until it is thickened. Strain the sauce into a jar and refrigerate.